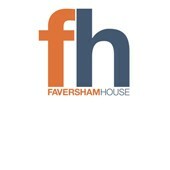 Faversham House (FH), is a publisher of leading brands in the utility, water and sustainability markets with a turnover of £7m established in 1960. FH's CEO, and the founder's daughter, Amanda Barnes and her fellow management team members were offered the opportunity of performing a management buy-out. Meta was engaged to help the management team with the buy-out, introduce private equity backers for the transaction, and to negotiate with the family shareholders.